Thora Green had a life once upon a time. But that ended the day her parents enrolled her in a sleep clinic prison. At the facility, her chronic months-long insomnia is observed by scads of doctors, but she is never actually treated for her dire disease. In a feat of desperation, Thora escapes for New York City. Buried deep in the city’s underbelly, there is rumored to be a secret haven called the Insomniac Café: a place where people like Thora can find relief. As Thora joins forces with Aiden and Florence, two fellow insomniacs, their midnight quest will take them from the dusty bookshelves of The Strand, to the smokey underground clubs in the Lower East Side, to countless taxi and subway rides. Clues leading to their final destination are waiting for them at every turn. But so are Sleepers—a powerful core of sworn-enemies to all Insomniacs—who wish to see Thora and her friends destroyed at any cost. 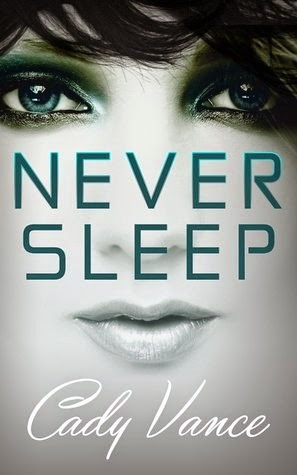 The main character in Never Sleep, Thora Green, is a film buff, a director-wannabe, and a chronic insomniac, so she’d be pretty easy to shop for when her next birthday rolls around (if she survives until then!). 1. The entire series box set of Buffy the Vampire Slayer. She’s a big fan of Joss Whedon, of course. 2. A year-long supply of the strongest sleeping pills I could find. 3. A sleeping mask. It might not help her sleep, but she could pretend to block the world out for a night. 4. A cool video camera to help her make some films, something she’s never had the chance to do, even though she’s always wanted to. 5. An Unlimited Ride Metrocard, so she can scour New York City for the Insomniac Cafe, a rumored haven for the sleepless. Cady Vance is the author of YA and NA speculative fiction. After growing up in small-town Tennessee, she decided to embark on a grand adventure by packing up her bags and moving to NYC. 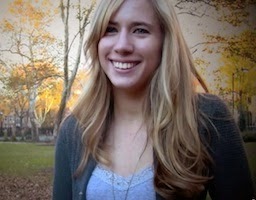 Now, she studies for her PhD in the UK and dreams of seeing the universe. YES for Buffy!! I actually have been wanting to re-watch that whole series haha! Holy nostalgic!